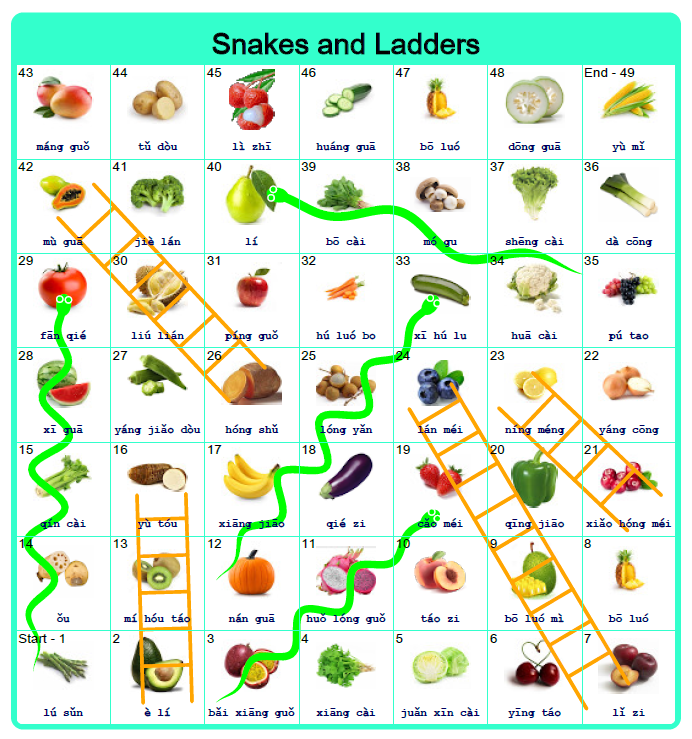 Snakes and Ladders is a fun classroom game for students to learn new vocabulary. 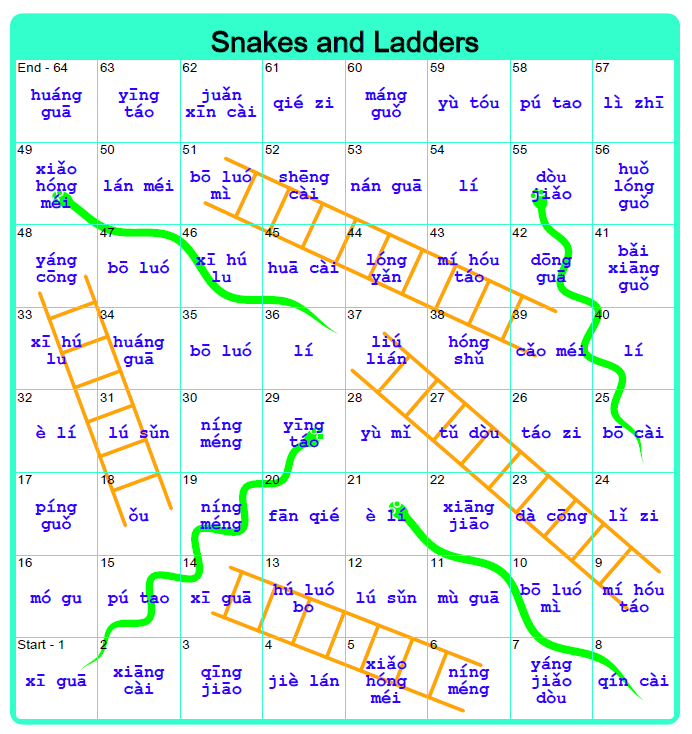 This tool allows you to create a custom Snakes and Ladders board with a pre-defined Chinese vocab list or a list created by yourself. This game is most fun when played in a small group of 2-4 players. You start the game at the bottom left corner and move to the right across the first row. Then you move up one space and move left across the second row. Then you move up again and to the right across the third row, and so on. The first player rolls the die and moves forward that number of spaces. 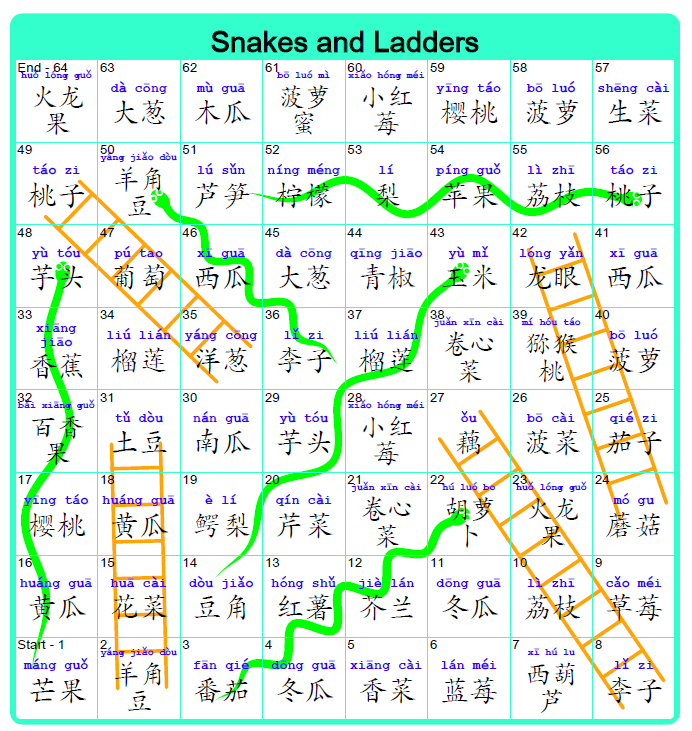 On each space the player needs to read the Chinese word or Pinyin written on the space in order to progess. 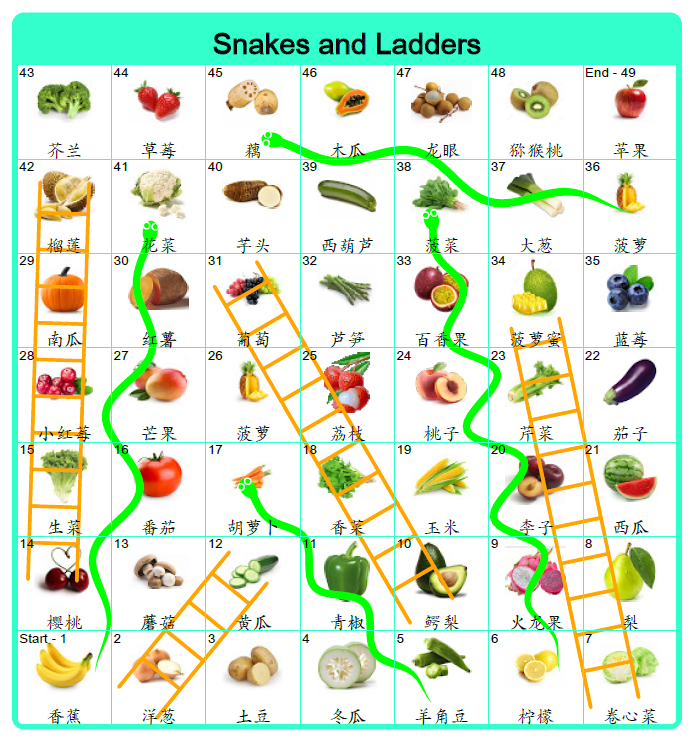 If the player is unabled to read the Chinese word, the player stops on that word until the player's next turn. 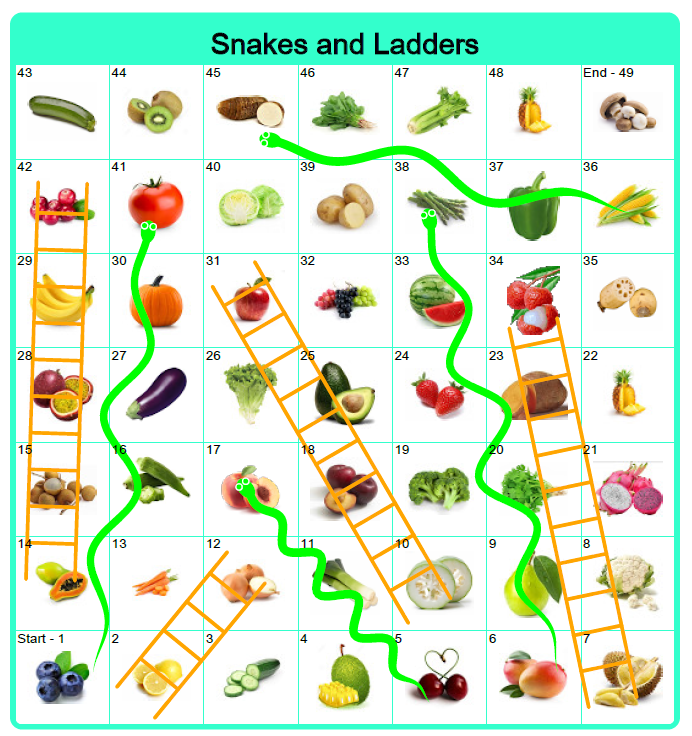 If the player rolls a number that lands at the bottom of a ladder and the player gets the word correct, the player may climb to the square at the top of the ladder. 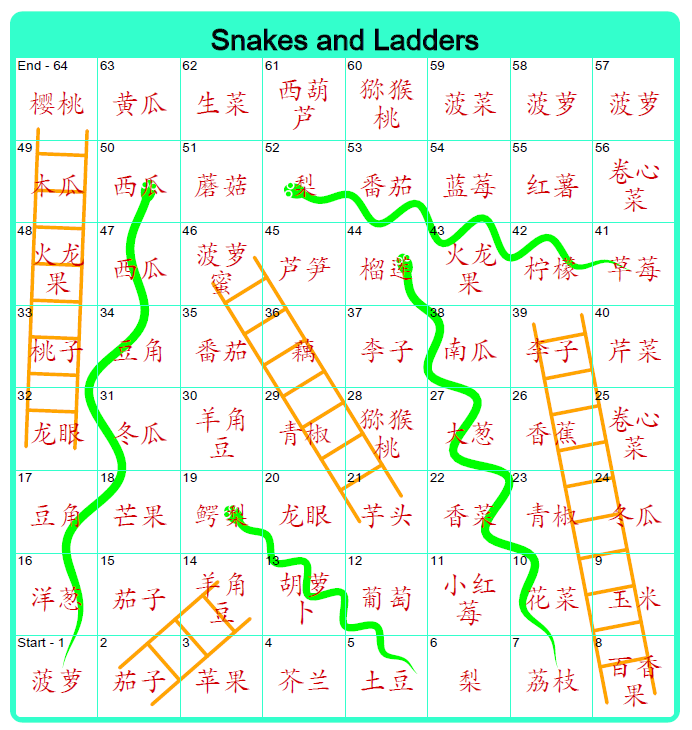 If a player rolls a number that lands on the head of a snake, the player must slide down to the square at the snake's tail. The game ends when all the players reach to the end square, with the first player to the end being the winner!